Moffett unfailingly stands out as the leading brand when it comes to material handling equipment for businesses. Today, the electric forklifts steal the limelight as the most innovative and dynamic technologies that one can ever invest in for their warehouse business. Over the years, the electric forklift has taken the higher spot for their eco-friendly and cost-effective solutions, which proves them to be an asset for any business that actually invests in them. However, similar to investing in any other equipment, component or tool, Moffett’s also require the necessary care to ensure they continue to meet with the required industrial standards. Based on our experience, as dealers in the best condition used electric Moffett’s we would like to give you some tips on how your business and you can maintain any forklift effectively. Electric forklifts come with less moving parts, so it is important to ascertain that gas-fed forklifts and the electric ones will have a huge difference in their make-up as well as their components. With an electric forklift, you will not need to bother or worry about the need to purchase engine oil, anti-freeze, or an oxygen sensor because they do not rely on lubricants and combustion to operate fully. Since they are strictly electric, it is important that you focus all of your attention on the computerized center of the machine, the automatic controls and everything else that is more like the heartbeat of the equipment. You should focus on the wiring of the Moffett, and optimize it frequently. Keep the electric forklifts well-protected from rust buildup and oxidation. Keep in mind that there are interfaces and tools designed to take a load off many owners today. 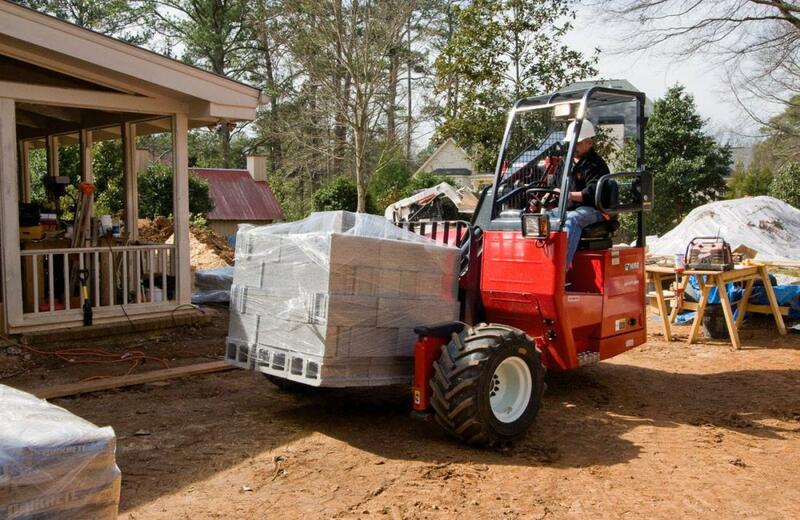 With telematics, fleet management specifically helps with the upkeep of the electric forklift. With the constantly changing regulations and ordinances in OSHA, telematics applications help to maintain up-to-date knowledge of this equipment and the standards accordingly. When it comes to potential risks and limiting liabilities, this helps to prevent them. Telematics applications are ideal assets that help in the maintenance of the electric lift truck maintenance. Like any other equipment, electric forklifts also require daily checks before you use them. This is quite important to derive whether it has any kind of problems that emerge in the vehicle use and to mitigate any risks to the apparatus, the goods, and the workers that will be busy operating it. Upon previous use, you should make sure the Moffett forks are in the best working order. In addition, you should check the tires to ensure they are inflated properly and the brakes should be in the best condition. All this is quite important and it will serve as the best option to prevent any form of collateral damage to the lift truck from inappropriate use and ensure workplace safety. At Truck Forklifts, we are experts when it comes to dealing in used electric Moffett’s. For any inquiries and further information, you can feel free to contact us at any time.